Of all the things you might expect to see in the average RPG, let’s run off a quick list. Turn-based combat comes up pretty often. Skill trees, of course. Top of the list though, you’d think you might find interesting characters you want to inhabit, in a world you want to explore. Masquerada manages to expend so much effort in building a supporting literary background that its cast and the world around them feel almost paper thin. That sounds paradoxical but, with the weight of front-loaded terminology, it’s difficult to penetrate Masquerada and find a relatable context. The game’s opening scenes introduce us to ‘Masquerines’: magical masks that imbue the owner with elemental powers. ‘Masquerada’ are aristocrats; ‘Contadani’ are the lower classes living in and around the ‘Citte’, because just saying ‘city’ would not be nearly snooty enough. That’s only a taste; this rhetoric just never ends. Playing as Cicero Gavar – who leads a growing band of comrades – it’s quickly realised that he and all that he meets are utterly defined by knowledge of their own game’s lore. They recite it as instructed via their ever so thorough scripts, imparting every detail that might be extraneous to a genuine conversation, and demanding that you visit the perpetually growing codex in your menu for explanation. Not in the spirit of Mass Effect which offers additional light reading, but like homework that must be done during detention. 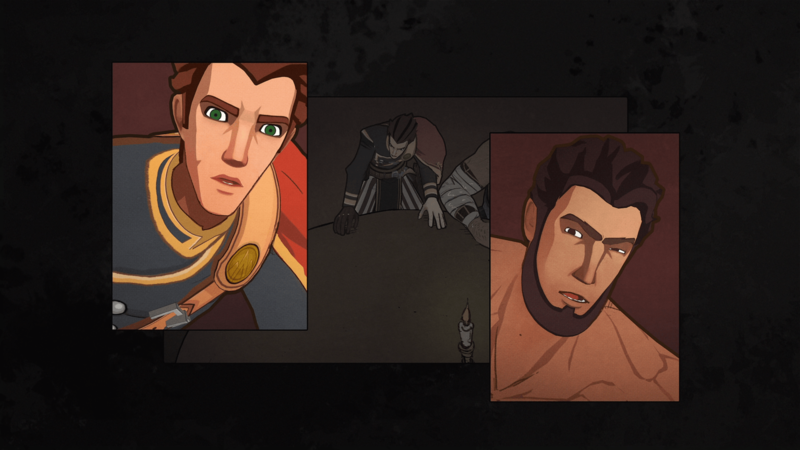 Trying to pay attention despite such barriers, it turns out that Masquerada is a mystery about those Masquerines. Why do they disappear when worn by someone at the moment of death? Who are the Maskrunners that wish to steal them for themselves and fortify a rebellion across Ombre? With more judicious writing it might all be terribly interesting, but delivered with a paucity of passion and elegance I struggled to engage beyond wincing at each new codex entry. 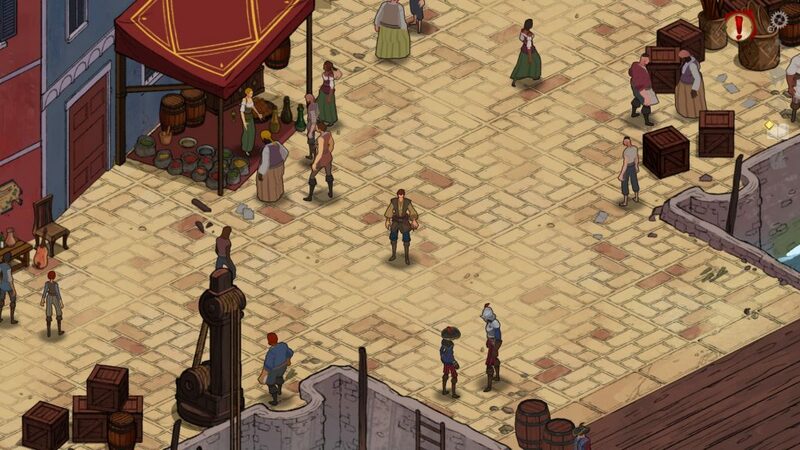 When practically engaging with the world – running about, fighting stuff – Masquerada feels similarly flimsy despite the real care that’s clearly been invested in its visuals. The thing is, it’s really pretty, but its isometric world feels flat when you find there’s nothing to interact with, and nothing to explore. Progression comes from following an indicator to a glowing ring, which will either give you more stuff to read or take you to another colourfully barren location. In a strictly linear order too, before you get excited about any kind of choice. The whole thing feels painfully disconnected. While luxuriant marble stairways are blocked by invisible walls, combat itself invites only a casual relationship to interactivity. For too long there is little more to it than pressing a trigger and watching automatic attacks reel off until someone eventually dies. It does get better as the skill tree opens up with more abilities (mapped to facia buttons of your preference), though not to the point that discernible strategy is required. Dispensing with the pretence of real time combat, a turn-based attack sequencing mode feels equally pointless. To be completely upfront with this criticism, I’m not a big fan of games like this. 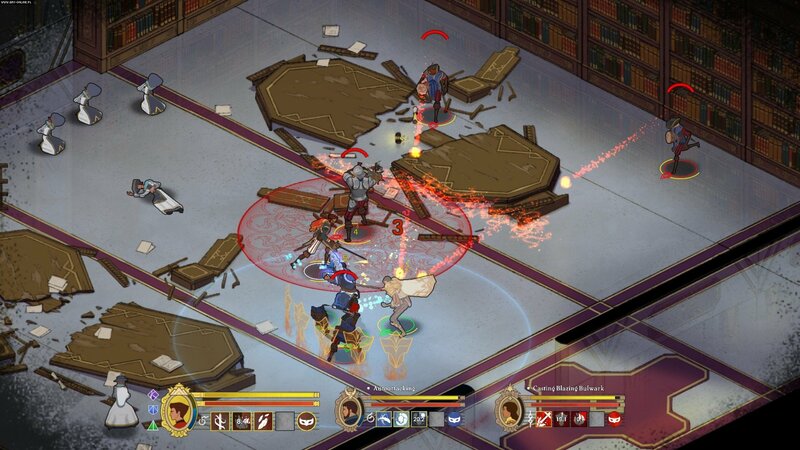 Even so, I like to think I can take enjoyment where I find it, and Masquerada is sadly quite sparing in dishing it out. 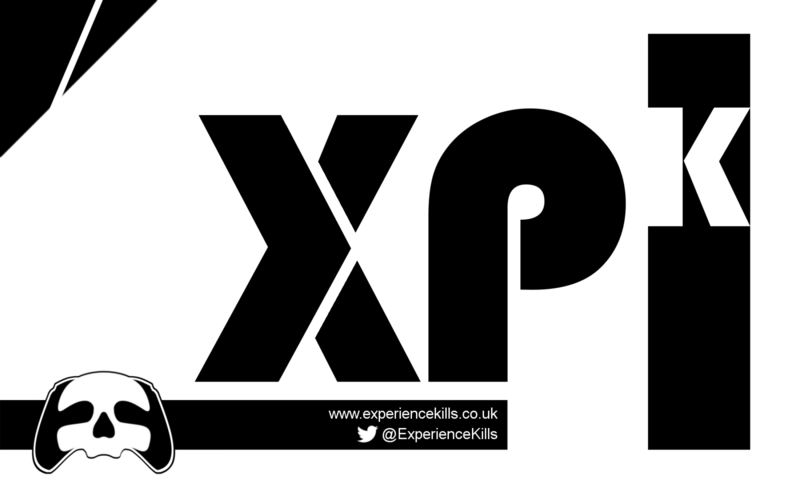 It is possible for games of this ilk to offer combat with a sense of visceral impact, strategy and reward. Neither did it need to be so impressed with its own language, force feeding the player with verbose and oblique references to its own lore. Yes, I know my reviews can sometimes read a bit like that. I’m really sorry if I’ve ever used a load of big words and made you feel like I’m doing this for myself instead of our site’s visitors. That’s how Masquerade made me feel – like I was supposed to be impressed, rather than find anything rewarding in it myself. Granted, it looks nice: just like a bejewelled mask that, once removed, reveals only shadows underneath. Masquerada was provided to us by the developer via a download code for Xbox One.